We are moving from an era of limited government-controlled space access using very expensive vehicles to more affordable systems developed by the private sector that can provide frequent trips to space for a variety of purposes. Multiple companies are rushing to be the first to market, including Virgin Galactic, XCOR Aerospace, Armadillo Aerospace, Blue Origin, and Masten Space Systems. Their varied technological approaches and flight plans offer researchers a great deal of options for studying the suborbital realm. The sky is not the limit! 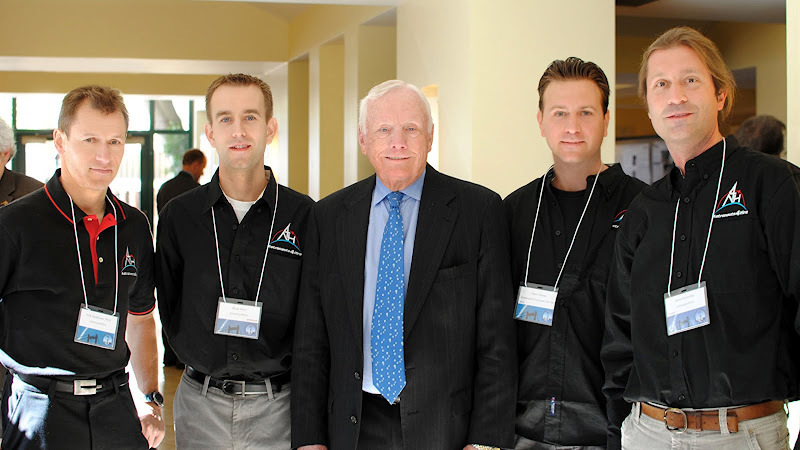 Last month I attended the 2012 Next Generation Suborbital Researchers Conference (NSRC) in Palo Alto, California. The purpose of the conference was to kickstart the imaginations of scientists who may utilize suborbital platforms for research. Whereas tourism has driven much of the initial investment in the burgeoning new paradigm for space access, it is the research market that stands poised to provide the long-standing demand to sustain the industry. NSRC provides an incubative environment for research users to interface with spaceflight providers and chart the path forward towards wider utilization of space and advancement of knowledge. 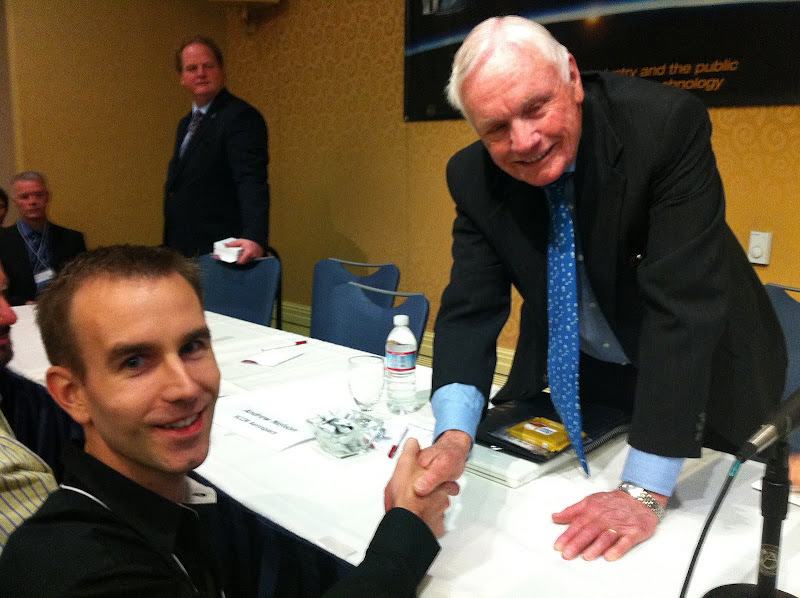 Shaking hands with one of the most recognizable figures of history Neil Armstrong at NSRC-2012. If you doubt this assertion, just take notice of who gave the main keynote address at this year's NSRC. Famed moonwalker Neil Armstrong spoke to a group of more than 450 eager audience members who hung on his every word as he related his personal experiences to the edge of space as a test pilot in the X-15 program. The somewhat reclusive former astronaut rarely gives public experiences, but in this case, he spent an entire day at the conference interacting with the new pioneers of commercial spaceflight. As evidenced by the photo above, I had the honor of meeting him myself and thanking him for his inspirational life. I gave two presentations at the NSRC. The first was a poster in collaboration with Dr. Friedemann Freund and others on an exciting research proposal to study electromagnetic signals in the upper atmosphere associated with seismic events. You can read the full abstract here. What makes this topic so exciting is that these signals often pre-date the onset of earthquakes by several days, offering tantalizing possibilities for early warning. However, before we get ahead of ourselves, we must first better understand the fundamental physics going on in the mesospheric region. That was the purpose of the poster. This venue was the ideal place to discuss ideas on ways to implement such a project, and I am optimistic for the future. I also presented in a session on markets and policy on the development of Astronauts4Hire (A4H) over its first two years. There is no other organization like A4H catering specifically to the professional development needs of aspiring astronaut candidates in the era of commercial human spaceflight. About a dozen A4H members attended the meeting and presented on a wide range of research and training related topics. Read all about it on the A4H website, where you can also view another great photo of Armstrong with me. I also gave an in-depth video interview with Moonandback.com and a small video blurb on why I celebrate Yuri's Night. Other news outlets like Space.com spoke with me as well, so all in all, I am very happy with the exposure opportunity NSRC offered and am looking forward to attending again next year. Until then, keep dreaming and exploring! shaking hands with Neil Armstrong!! 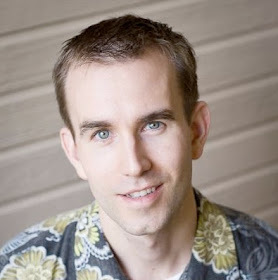 One of the rare photos of him without glasses, and he looks more like his astronaut days.